The 2017 Chrysler Pacifica is an updated model, offering several upgrades over the outgoing model. Those improvements—including new features, an all-new hybrid trim, and fun testimonials from uber-dad Jim Gaffigan—have apparently paid off, because the model has just been named “Best Minivan of 2016” by the experts at Cars.com. The 2017 Pacifica won the website’s “Ultimate Minivan Challenge” by going head-to-head with the top two finishers from last year’s contest. The “Champions versus Challenger” approach ultimately favored the Pacifica, which bested previous the 2015 champions, the Kia Sedona and Toyota Sienna. The final rankings put the 2017 Chrysler Pacifica first, the 2016 Kia Sedona second, and the 2017 Toyota Sienna third. 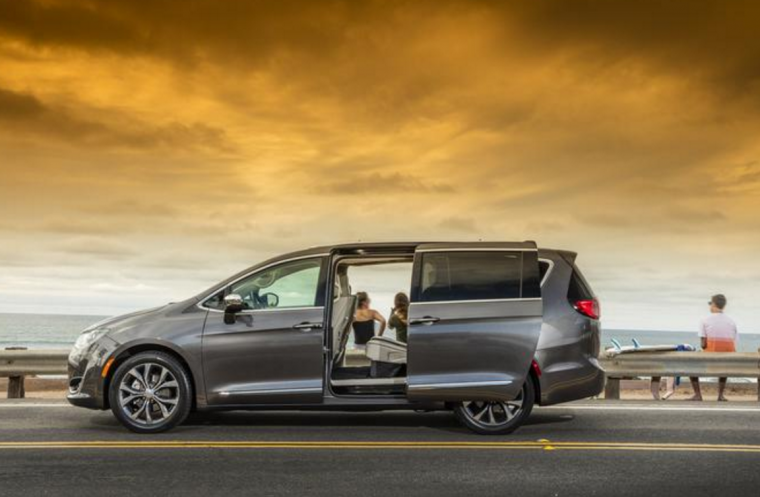 “While minivans may get a lot of disrespect in popular culture, in reality they remain perhaps the best use of space in any family vehicle, and the entire segment has undergone a huge makeover in the past two years,” added Olsen. The minivan challenge included a round-robin testing approach in which each expert drove each car on the same course in back-to-back tests, followed by a mileage drive meant to calculate real-world fuel economy. The reengineered Pacifica, with its class-leading gasoline and hybrid powertrains and over 100 available safety and security features, put the Pacifica on top of the Sedona and Sienna.